Living with a Thief named Lewy Body Dementia: "Are you looking at my poptart?" The other day I woke to sounds of 2 of my grandsons having breakfast. The 3 year old does not wake up like his 5 yr old brother. 5 yr old is mild mannered and cheerful. 3 yr old is, well, like me. Cranky before I have had a cup of coffee. As I lay in my bed thinking that, yes, I was alive and yes, it was ok to be that way I heard 3 yr old say in his grouchy whiney annoyed tone, "STOP LOOKING AT ME! 5 yr old assured that he was not looking at him. Then 3 yr old asked in a much sweeter tone, "Are you looking at my poptart?" This comment made me smile before my feet ever hit the floor. Some days I'm not so grumpy when I first get up. Today is a non grumpy day. Today I had a plan. 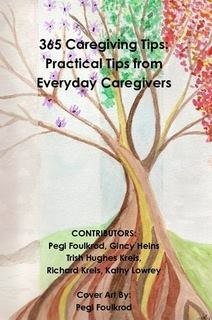 I made arrangements to visit with someone on line to talk about my experience with caregiving for Lewy Body Dementia and my decisions to blog. Today I set my alarm. I didn't want to sleep in and not have had my coffee before the program started. I always get a little nervous when I make a plan. Especially these days. I prayed that I would be able to devote 30 uninterrupted mins. 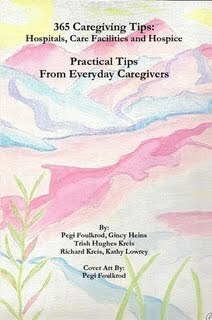 I asked that if immediate caregiving needs had to be met I had time to accomplish them. Ask and ye shall receive. Hubby woke and his immediate needs were cared for. Bathroom, bed linens, coffee, breakfast. He was settled. Hmmm, I forgot, I took responsibility for the 2 grandsons. Please Lord, let them rise early enough to be cared for and settled also. 5 yr old woke cheery and with a good morning. Breakfast served. 3 yr old woke grumpy but manageable. Breakfast of several different types offered, rejected, offered once more with a glare then served, shirt changed, mood better. The boys and I started watching a movie last night that we did not finish and at their request I continued it for them. Boys settled. Niece was still in her room sleeping, so, niece settled. At this point I had 5 mins wait for my phone call. I grabbed a cup of coffee and a poptart to settle myself in a quiet place in a comfy chair. I realized that I have neither of these things! I chose a random chair in the quietest part of the house yet close enough to hear Hubby if he needed me. Took a bite of poptart then decided I didn't need a poptart on my teeth or gumming up my mouth! Ran for a drink of water! (I didn't want to drink all of my coffee up) Then I had to use the restroom!! I had 2 mins before my call!! Ever try to use the bathroom in a hurry? yeah, wasn't working, relax, ahhh. Pulled, zipped, washed and settled and took the time to bow my head and ask for the words to come freely and clearly whatever they were. Prayer answered.